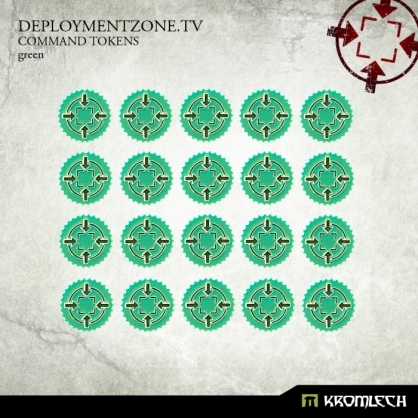 This set contains twenty 25mm diameter Deploymentzone.tv Command Tokens made from green fluorescent acrylic. Please note that black color on product picture is in real only a background to make this product easier to show you. 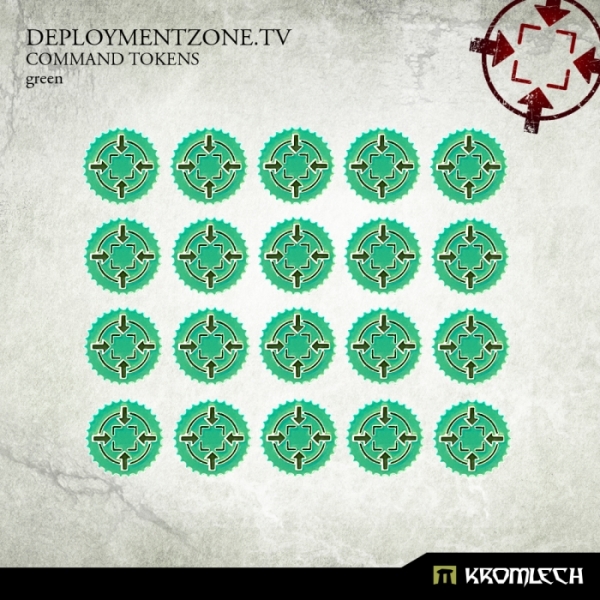 Deploymentzone.tv logo is in fact cut out.